Ladies, it’s our final meeting together of the year as women. 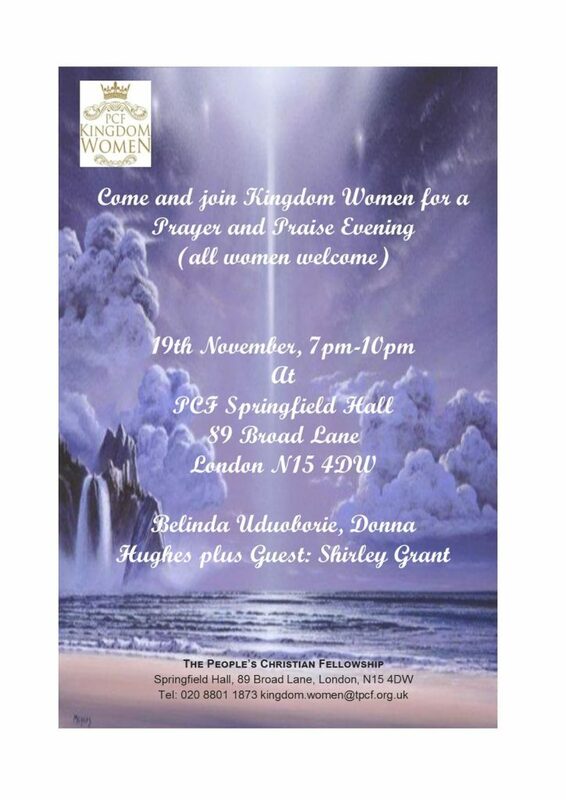 So come and join us at our Prayer and Praise evening. Through the word, worship, prayer and fellowship with one another, we endeavour to be all that God has called us to be. Come with expectant hearts, it’s going to be an amazing evening. All are women are welcome. ← PCF AGM – November 12, Starting at 6pm. All are welcome!